BMG LABTECH has been committed to producing high-quality microplate readers for more than twenty-five years. With success! The introduction of the first microplate fluorometer in 1993 brought us to the forefront of detection technology. Since then, we have been improving the functionality and sensitivity of our plate readers to handle the increasingly challenging requirements of microplate-based assays. 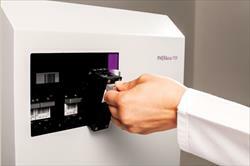 The range of our microplate readers covers many types of bioanalytical measurement techniques in various combinations. And for sure you will find the instrument that fits best to your needs! 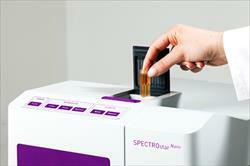 Are you looking for a microplate reader that leaves everyone else behind? One that is fast and reliable? The PHERAstarFSX definitely is the best choice for the needs of high-throughput screening (HTS). With its super-fast read times, its precision and the highest sensitivity this reader is the perfect partner for your screening assays. You want it all? Filters and monochromators? Sensitivity and flexibility? 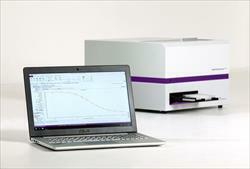 Have a look at theCLARIOstar which is the all-rounder for assay development. Equipped with our revolutionary LVF monochromatorTM technology, you don’t have to choose. Get it all! Imagine a box fully packed with what you want for your life science applications. This is what theOmega series is about. The true modular flexibility perfectly full fills your requirements: from an absorbance-only SPECTROstar® to a multi-mode POLARstar®. Feel free to choose! If you are looking for a spectrometer-based microplate reader that performs assays quickly and easily in both microplates and cuvettes, the smallest of our instruments might be the one for you. The SPECTROstarNano acquires the complete UV/vis absorbance spectrum in less than one second per well and with a snap of your fingers the work is done. Do you need a solution for fast compound solubility screens? We have developed theNEPHELOstarPlus to meet exactly the demands of high-throughput laboratories. By detecting insoluble particles in liquid samples by measuring forward scattered light, it is one of its kind. 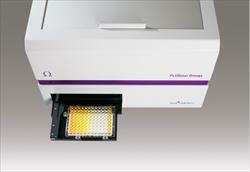 All of our microplate readers are developed, manufactured and tested at our facility in Germany. But no matter where and when you need us, we are just a phone call or a quick email away. With our worldwide sales, service and support network we provide you the best scientific and technical support and bring the latest innovations in microplate reading technology directly to you and your laboratory, always with the reliability and quality that you deserve. 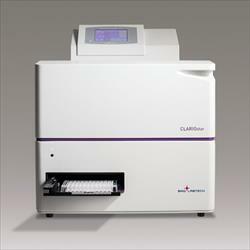 The CLARIOstar can also be equipped with an Atmospheric Control Unit for cell-based assays. All our readers come with powerful software package to run your reader and analyze your data.